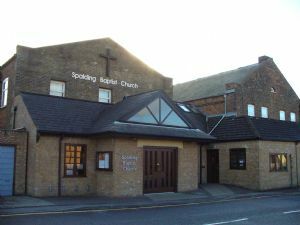 Spalding Baptist Church seeks to share the Good News that God loves us so much that He gave His one and only Son to bring us into His family. Our mission is: "Presenting the unchanging Gospel of Jesus Christ in a relevant way to a changing world"
those who are inquiring about Christianity and what it can mean to them. led by Ben Clarke, with Ricki Kendall preaching. but sites which you link to from ours may do so.